Nolan Baumgartner received his BFA from the University of Utah in 2001, and his MFA in ceramics from Cranbrook Art Academy in 2004. 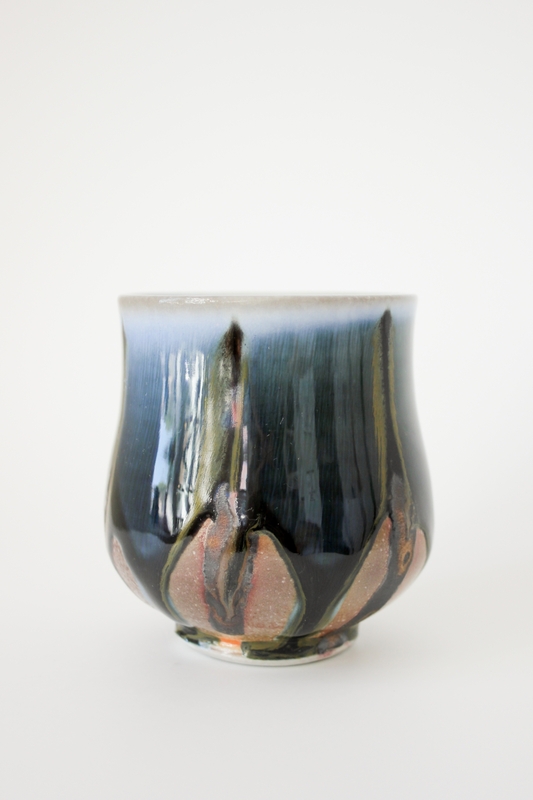 A Utah native, he is a practicing studio potter and artist who shows in local and national exhibitions. He has taught at Oakland County Community College in Auburn Hills, MI, and he has been teaching at the University of Utah since 2006. He is currently an Associate Professor Lecturer in Ceramics. My purpose in making pottery is to create ultimately functional, utilitarian ware. It is work to be used comfortably and easily, all the while maintaining a sense of movement, posture, and play that I feel is as necessary as the function itself. This sense of play emerges as I move and shape the clay, and through the loosely drawn polka dots and stripes that I quickly render in glaze. My general asesthetic decisions are largely derived from my interest in Asian (Japanese and Korean, mostly), forms, and recently I have been using the somewhat-nostalgic, bold themes from older video games. I am fascinated with the wood and soda kilns' glorious variables and the way they react to the undulating surfaces of my work and its applied slips or glazes. These atmospheric phenomena enhance the organic nature of my work.